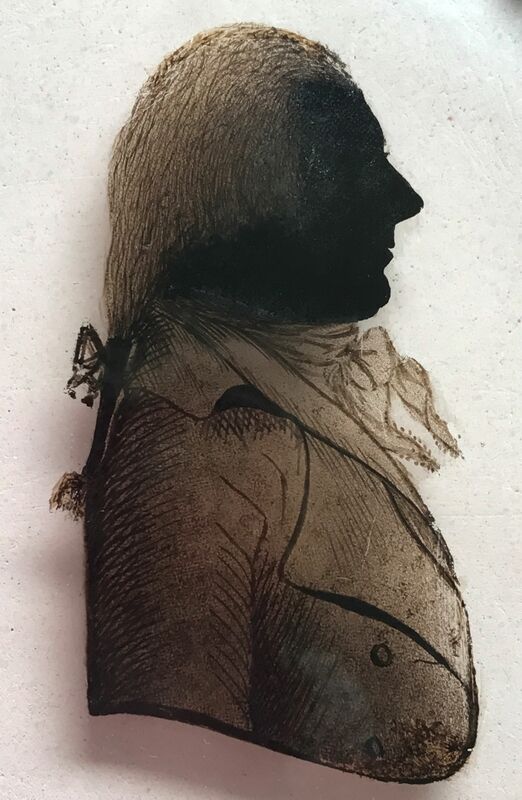 A well-provenanced silhouette of a gentleman, named John Backhouse, in a pigtail wig tied with a ribbon bow. He is wearing a double-breasted coat with wide lapels over a waistcoat and a knotted cravat. 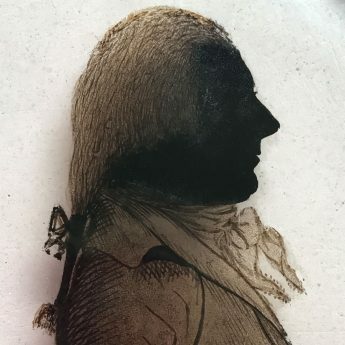 The profile is reverse painted on convex glass, the face in solid black, the hair and attire in transparent shades of brown; it is backed with plaster that retains specks of its original pink hue. Housed in the original rectangular hammered brass frame, the silhouette is backed with the artist’s trade label, no. 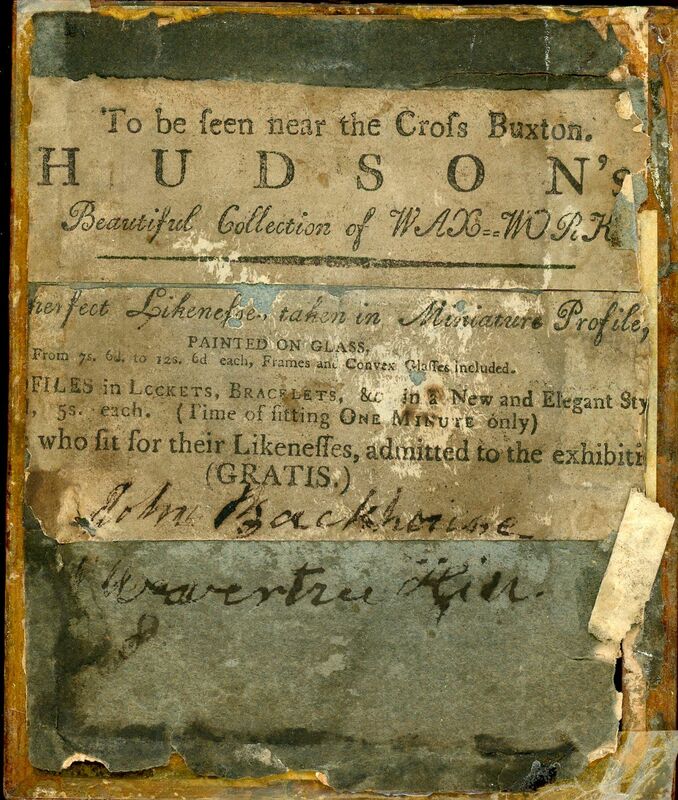 2 that advertises her “beautiful collection of wax works” to be viewed near the Cross in Buxton. 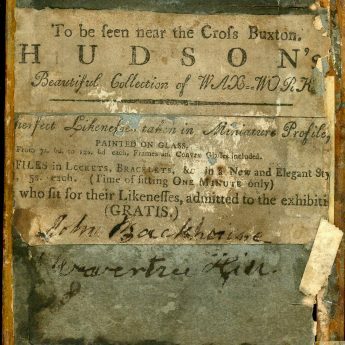 The label is inscribed with the sitter’s details “John Backhouse / Wavertree Hill”. 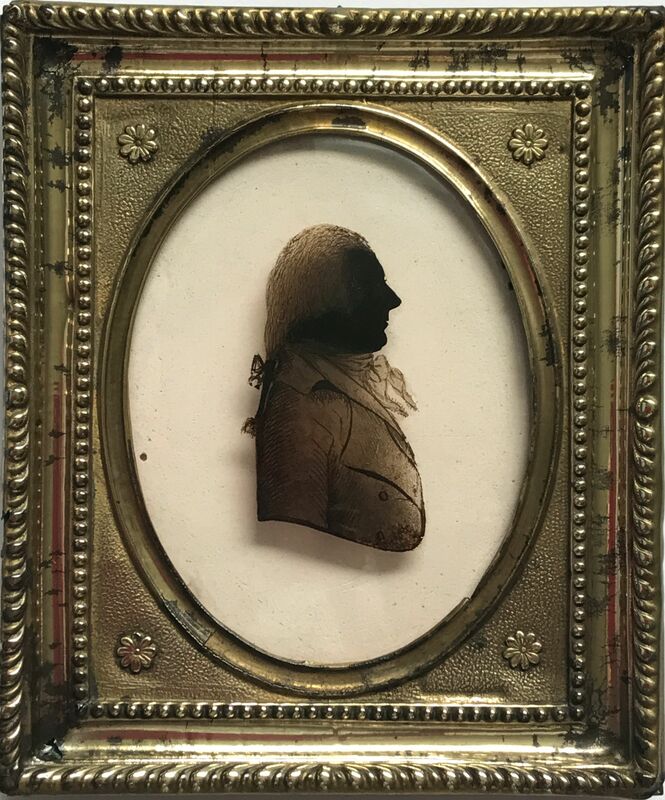 The daughter of a jeweller and goldsmith with a shop in Bath, Elizabeth Hudson (née Chilcot) was skilled in hair work and wax modelling as well as profile painting. She is known to have worked in Birmingham, Oxford and Worcester before arriving in the popular spa town of Buxton in 1797. She charged between 7s 6d and 12s 6d for her profiles on glass to include the frame.